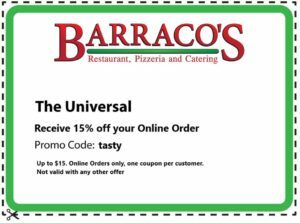 Receive 15% Off your Online Order. Up to $15. Online only, one coupon per customer. Not valid with any other offer. Enter Promo code when ordering. 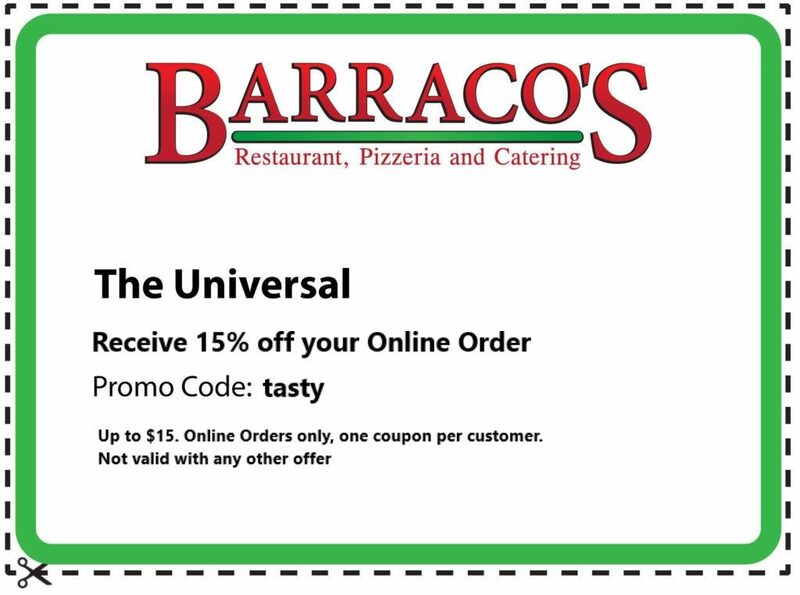 Order online and use the promo code, so you don’t have to print the coupon. Only one coupon per order. Must mention coupon when ordering. Must print coupon and present on pickup or delivery, unless ordering online, in which case, no coupon necessary.